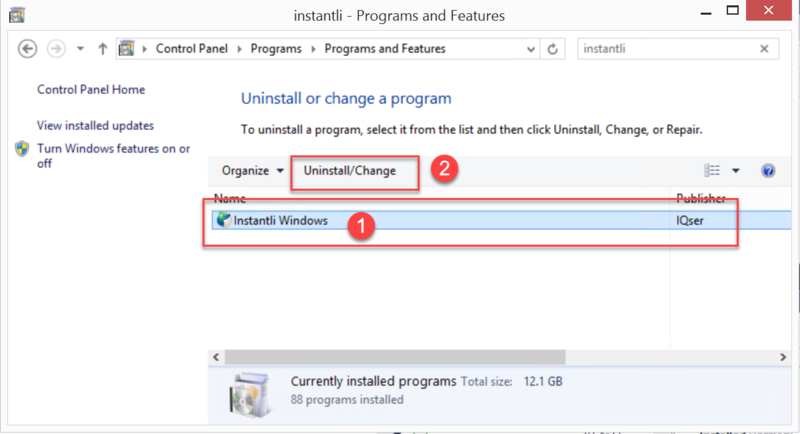 This means you have to uninstall the current version and install the version of Instantli v1.2 from. 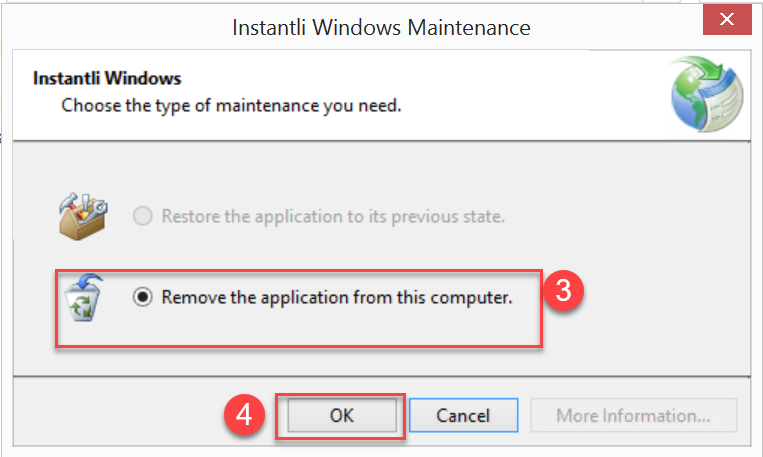 In the next window select Remove the application from this computer and click Ok button. 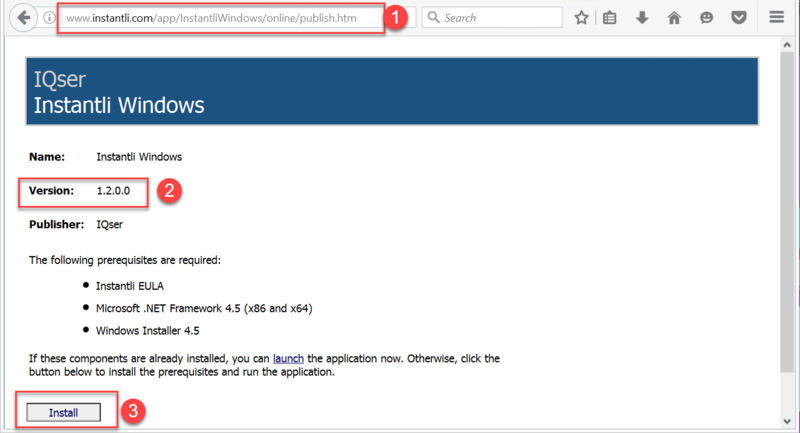 Open your internet browser and visit the following URL:http://instantli.com/app/InstantliWindows/online/publish.html and press Install button. Run downloaded setup file and proceed with the installation.